Corus Entertainment’s YTV hits the road again this summer with its travelling road show WOW!, starting Saturday, June 4, and touring across the country through to Labour Day. The WOW! Patrol will be delivering high-energy entertainment and interactive games for kids 6 to 14 as it visits major attractions and festivals across Canada in its custom built vehicles, equipped for summer fun! Hasbro Inc. and WOW! team up to deliver a summer of faster, stronger and cooler Beyblade battles with BEYBLADE Metal Fusion Madness. Based on YTV’s animated series BEYBLADE: Metal Fusion, enthusiasts will battle their way to the number one spot in the “Extreme Bey Stadium” Battle Royale. Become the Champion to win great prizes and even qualify for an entry in the Canadian Beyblade Championship taking place this Fall! Kids will also have the chance to check out Hasbro’s Nerf Dart Tag: Generation Next, featuring new blasters, gear and game play. WOW! challenges dart taggers, young and old, to join in Dart Tag Seek and Retrieve where teams will play both offensively and defensively in an intense game of capture the flag, all to win the ultimate bragging rights. The WOW! vehicles come fully-loaded to entertain, bringing the YTV experience to viewers across the country. The custom built vehicles are outfitted with a six-screen video wall, giving kids and their families a sneak peek of what’s coming up on YTV. WOW! kicks off its 2011 tour on Saturday, June 4, at the Unionville Street Festival in Unionville, Ontario. For a full list of tour dates and locations, as well as video blogs and additional prizing information, visit www.ytv.com/wow. Seen in over 11 million homes across Canada, YTV is a leading entertainment brand for kids. YTV offers quality entertainment for kids and families with hit Nickelodeon series, nighttime drama for teens, blockbuster movies and original Canadian programming. YTV reaches its viewers online at YTV.com and in local communities with the traveling road show WOW!. 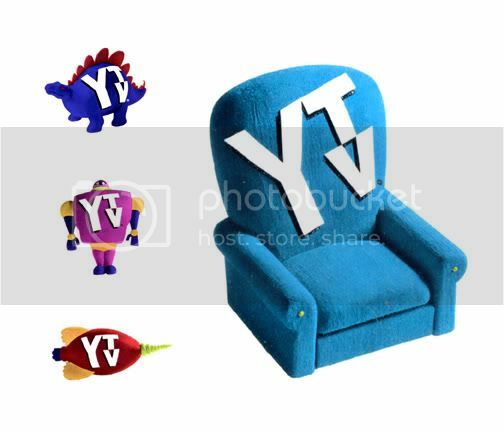 Visit www.ytv.com. This holiday season, Corus Entertainment’s YTV is once again the destination for premiere Christmas programming for the entire family. Viewers won’t want to miss two highly anticipated Dreamworks Animation SKG Inc.’s (Nasdaq: DWA) specials Kung Fu Panda Holiday and Merry Madagascar. YTV has also pooled together talented cast members from viewers’ favourite series in YTV’s Holly Jolly Special, hosted by Carlos. The winter feast is Po’s (voiced by Jack Black) favourite holiday. Every year, he and his father hang decorations, cook together and serve noodle soup to the villagers. But this year, Shifu informs Po that as Dragon Warrior, it is his duty to host the formal Winter Feast at the Jade Palace. Po is caught between his obligations as the Dragon Warrior and his family traditions: between Shifu and Mr. Ping. This DreamWorks Animation production premieres Wednesday, December 15 at 7 p.m. (r) Sunday, December 19 at 11 a.m., Thursday, December 23 at 4 p.m.
Merry Madagascar begins when Santa and his sleigh unexpectedly crash-land on an island, giving the jolly gentleman a case of amnesia. So it falls to Alex, Marty, Melman and Gloria – along with the ever-inventive Penguins – to deliver the presents and save Christmas. It doesn’t hurt that Santa’s sleigh just might be able to make a little trip to New York City, so they can finally return to their beloved home. Also included is the long-lasting North Pole/South Pole rivalry between the Penguins and Santa’s reindeer, plus magic flying dust and a King Julien-based holiday called “Julienuary.” This DreamWorks Animation production premieres on Thursday, December 16 at 7 p.m. (r) Sunday, December 19 at 11:30 a.m., Friday, December 24 at 4 p.m. While preparing for the holidays, YTV’s host Carlos wants to pull together something special for audiences at home. Finally, it comes to him – he has decided to ‘direct’ a holiday music video, and he’s going to call upon his friends, the top 6 from The Next Star, to help him out. After everyone arrives from across Canada, the crew brainstorms some outrageous ideas on what the video should look like. Throughout this 30-minute special, viewers will get a taste of some holiday skits from That’s So Weird!, shout outs from special guests from some of viewers’ favourite YTV series and catch the video premiere of the title track All I Want for Christmas Is You. Produced by Tricon Films & Television, YTV’s Holly Jolly Special premieres on Wednesday, December 15 at 7:30 p.m. (r) Sunday, December 19 at 8:30 p.m., Tuesday, December 21 at 9 p.m., Thursday, December 23 at 9:30 p.m., Friday, December 24 at 3 p.m. and Saturday, December 25 at 2 p.m.
Lucy counsels a depressed Charlie Brown through the holiday season by directing the Christmas play. Charlie Brown sets out to find the perfect Christmas tree to decorate the stage, though his scruffy choice draws sneers from the other kids. But after some timely words from Linus, he does discover the real meaning of the holiday season. A Charlie Brown Christmas airs Saturday, December 18 at 6 p.m. (r) Sunday, December 19 at 10 a.m., Wednesday, December 22 at 7 p.m.
Garfield finds himself on an old-fashioned holiday at the family farm with Jon’s mom, dad, brother and grandmother. The Emmy®-nominated A Garfield Christmas Special airs Saturday, December 18 at 8:30 p.m. (r) Wednesday, December 22 at 7:30 p.m. When the young reindeer Rudolph is teased for his red nose, he perseveres by using his ultra-bright nose to save Christmas by helping Santa Claus see through a storm. Viewers can catch this classic tale, narrated by Burl Ives, on Monday, December 20 at 7 p.m. (r) Saturday, December 25 at 12 p.m. and 8 p.m.
Viewers can visit www.ytv.com for the latest and greatest holiday activities, games and programming schedules. Beginning on December 1, the site will offer a new holiday-themed activity every day counting down to New Years Eve. Corus Entertainment’s Nelvana Studio and YTV are pleased to announce the return of the classic children’s book character in the new CGI animated series Babar and the Adventures of Badou, featuring the voice of Gordon Pinsent and premiering in YTV’s Playtime block on Monday, November 22 at 11 a.m. ET/PT. “Corus and Nelvana have a long history with the Babar brand and we are delighted to continue our relationship with this world-famous elephant, to once again bring this popular literary character to life on television with new storylines, a new generation of characters and with CGI technology for today’s audiences,” said Ted Ellis, VP, Kids/Family Programming, Corus Entertainment. Produced by Nelvana Studio and TeamTO, in association with The Clifford Ross Company, Babar and the Adventures of Badou is based on the bestselling children’s book collection and follows eight-year-old Badou and his famous grandfather King Babar. Badou has an appetite for adventure and a tendency to get caught in some tricky situations along with his colourful friends Chiku the monkey, Zawadi the zebra, Jake the scruffy little fox and Munroe the deviant and brave porcupine. Navigating the ups and downs of growing up in Celesteville’s royal palace, Badou never forgets that his grandfather King Babar will always be there to offer guidance and support. In episode one, Babar and the Adventures of Badou: Kite Flight/Zoomerblimps, premiering on Monday, November 22 at 11 a.m. ET/PT (r) Friday, November 26 at 11 a.m. ET/PT, Chiku volunteers Munroe for a kite flying contest against the Crocs. She promises to build him the best kite ever but keeps getting distracted by newer, better design ideas. Badou tries to help her focus so Chiku can deliver on her promise. Then, the kids are competing for their Zoomerblimp Junior Pilot wings. Badou and Rhudi are the favourites but when Dilash sabotages both their ships the two have to team up – and learn a little about sportsmanship – in order to compete. Beginning on Wednesday, November 10, viewers can visit YTV.com to immerse themselves in Badou’s adventures online with 10 new customizable web games, nine exclusive web animations, visits to four neighbourhoods in Celesteville, as well as clips of the show. The online fun doesn’t stop there as fans can also access 23 different colouring pages and printable stickers, and download their very own customized adventure storybook. YTV will be participating in Toronto’s 106th annual Santa Claus Parade – the longest running children’s parade in the world. Fans won’t want to miss the Babar and the Adventures of Badou float on Sunday, November 21 at 12:30 p.m. ET. YTV will air a repeat broadcast of the parade on Sunday, December 5 at 12 p.m. ET/PT. TFI in France will premiere Babar and the Adventures of Badou on Monday, November 8. Corus Entertainment’s Nelvana Enterprises has also secured sales of the series to Playhouse Disney in the United States and Japan, Disney Channel in Italy and Spain, Discovery Kids in Latin America, KI.KA in Germany, ABC TV in Australia, TV2 in Norway, YLE 2 in Finland, DR TV in Denmark, Thai PBS, SRC for French Canada and M-Net in South Africa, among others. Licensing opportunities are also available through Nelvana Enterprises. Good News for Young TV Viewers: YTV Announces Fall Lineup! Premieres: Wednesday, September 9 at 7:30 p.m. Produced by Halifax Film in association with YTV, That’s So Weird! is what happens when seven teens band together to save So Weird TV, a third rate television network, where the programming is even weirder than the name. So Weird TV airs commercial parodies, bizarre game shows and features regular guest appearances by celebrities such as Sean Astin and Michael Rosenbaum, athletes Matt Stajan and Jason Blake, as well as musicians, including Eva Avila. Premieres: Friday, October 2 at 6:30 p.m. Created by writer Vera Santamaria (Little Mosque on The Prairie), this half-hour live action comedy series is told through the eyes of 13-year-old Indira “Indie” played by Melinda Shankar (Degrassi: The Next Generation), as she tries to balance her immigrant family’s South Asian traditions and her Canadian lifestyle. But even with these challenges and the struggle of being a teenager, Indie and her best friend’s, Abi and Marlon, are determined to make eighth grade their year to shine. How to be Indie is produced by Heroic Film Company in association with YTV.